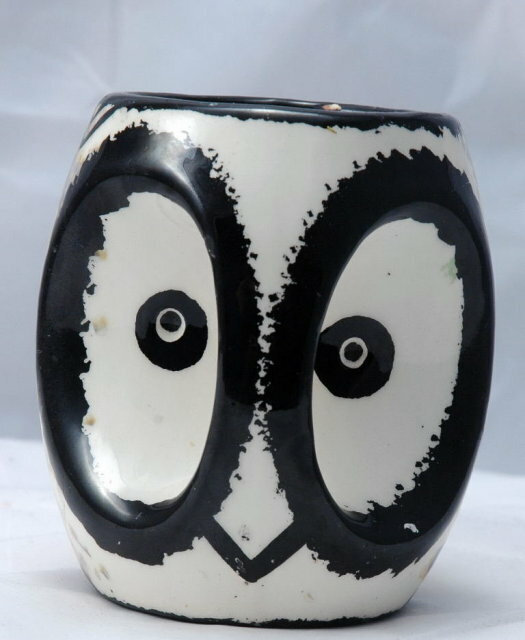 Apache Owl Mug or Cup Signed & Dated. 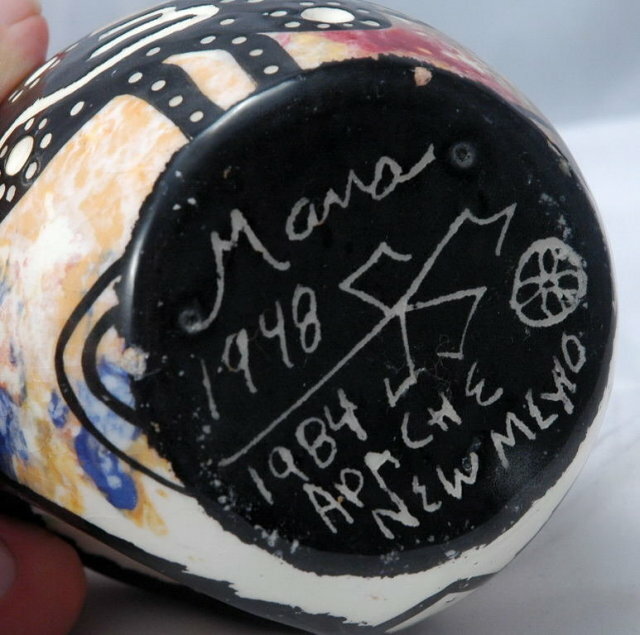 It look like it say Manna or Mana 1948 with a symbol and under that is says 1984 Apache New Mexico. 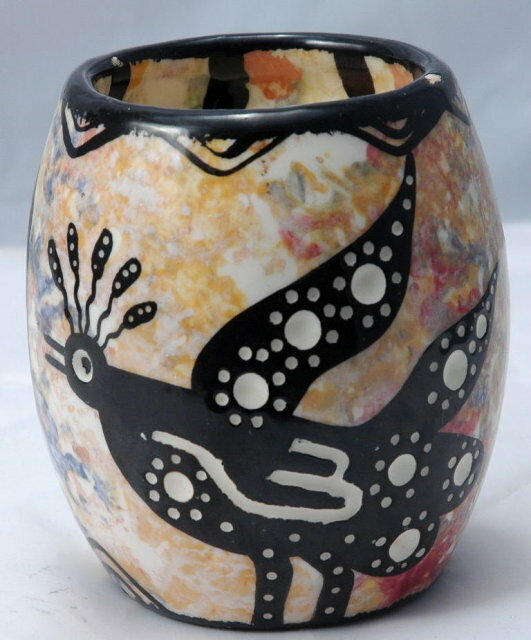 ( I think) Anyway it is a cool looking hand crafted Native American item. The condition is good. The rim has some rough spots. 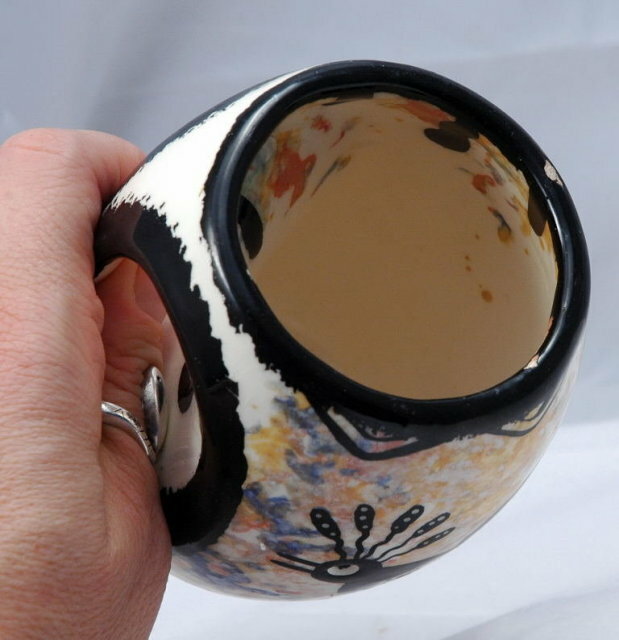 Items Similar To "Apache Owl Mug or Cup Signed & Dated"